Are You Speaking Your Customer’s Language? 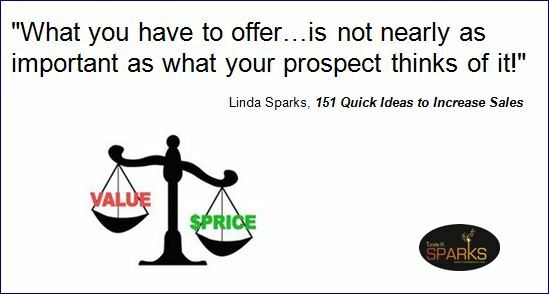 Many sales are missed because the sales person did not communicate with the prospect in a productive way. The solution may have been perfect, the pricing good, but somehow they just didn’t connect. When you identify a new prospect or customer, ask them questions to determine their communication preferences. Do they prefer phone calls or e-mails? How hard is it to get a face-to-face meeting with them? Will they read detailed documents or should you focus on briefs and outlines? Do they return calls? If you are working through an administrative assistant you can ask about some of these things casually. • A customer that is known for reading and sending after hours e-mails is more likely to read longer messages sent later in the day. • A prospect that uses sight words to describe non-visual elements likely has a visual preference. (“you should have seen what they said” ) These people may do better with written communication to support all verbal interaction. • Don’t leave endless messages for a customer who isn’t returning phone calls. Try something different like sending a print document special delivery. • And, don’t forget to talk the language of their business, not yours. Customizing communications will increase sales success! Consider the communication preferences of your top three accounts and compare this to your routine methods of communicating. Be sure to make notes in your strategic account profile about the communication preferences you uncover. One way to be successful selling your service is to understand the customer satisfaction benchmarks facing your customers. Stay with me now—this could be confusing. • A mother wants to plan a vacation that satisfies the interests of the entire family. • A purchasing agent needs a component that will fit seamlessly into the finished product. • A business owner wants to contract with an IT firm that can keep his expensive staff running at full speed without sending the CFO into budget overload and ensure that his external clients can access their on-line support tools 24-7. Create simple tools that allow your prospects to gather and document the needs of their own stakeholders. Let them know that you understand their role and that you are here to help. Author Linda SparksPosted on January 23, 2016 February 5, 2016 Categories 151 Quick Ideas to Increase SalesTags communications, profiles, salesLeave a comment on Are You Speaking Your Customer’s Language? Business runs fast. We can’t give every detail our full attention in the moment so we develop methods of tracking and reporting, then details can be reviewed later and managed accordingly. We, in turn, focus our management efforts on the elements of our business that we measure. We manage what we measure! Are you measuring the elements that are most important to your sales efforts? Are you managing the elements that are most important to your sales efforts? Evaluate the measuring and reporting elements in your selling situation. Determine if they are useful measures for managing sales results. If you work in sales department where extensive reporting is required (and ineffective) show this book to your sales manager and work together to develop a more productive approach. Consider elements found in previous three chapters for use in effective measurement. Lagging Indicators—are important, but historical documentation, from a previous period of activity. Leading Indicators—can be culled from the marketing and sales activities that are known to have a demonstrated effect on helping you make sales. Identify three leading indicators that will help you determine if you’re getting the right mix of activity to keep your sales on track. Consider what approach you will take when leading indicators show weak activity. Many elements influence our relationship with our customers. We must do more than simply deliver our products in order to ensure continued business, new projects and those coveted customer referrals. Their perception of the value we provide is likely the most significant of them all. We must learn to measure what matters to customers. Knowing what matters to customers will come partially from your targeting strategy. The more niche oriented you are the more similar customer expectations will be. Individual details should be available from selling process. Bench marking progress and satisfaction can be trickier, but if you know what they want to achieve and how your product or service was going to help you will be able to create some type of process for gathering updates and reporting them in your customer report. Progress reporting is your opportunity to remind them what you have delivered in the period and to subtly promote some of your other services. Planning to measure progress and report to customers will make you better from the beginning. If you can’t measure it, you can’t manage it. Develop a method for reporting to customers. Frequency can coincide with invoicing or deliveries. Add marketing elements by using informative place holders for your add-on services. Sales cannot be the only department in the organization focused on the job of attracting and retaining customers. Their must be a cohesive effort on the part of the entire organization. Establishing a balanced and strategic way of planning for, measuring and rewarding progress will help achieve organizational success—especially increased sales! • Customer—To achieve your vision, what must you do to satisfy the needs of your customers? • Operational—To satisfy your customers and shareholders, at what business processes must you excel? • Innovation—To achieve your vision, how will you sustain your ability to change and improve? Robert Kaplan and David Norton published The Balanced Scorecard in 1996 and The Strategy Focused Organization in 2000. Do some research on the Balanced Scorecard and talk with your leadership team about getting the organization more in alignment for success. Welcome to my website. I'm fiercely committed to a REALITY-based approach to business growth. If you enjoy my content and approach ideas to growing a business and want to talk about how we might work together, let's continue the conversation in the manner that suits you best. Linda@LindaSparks.com, 317-508-0481 or find me on Facebook.